Your very own secure file sharing tool! 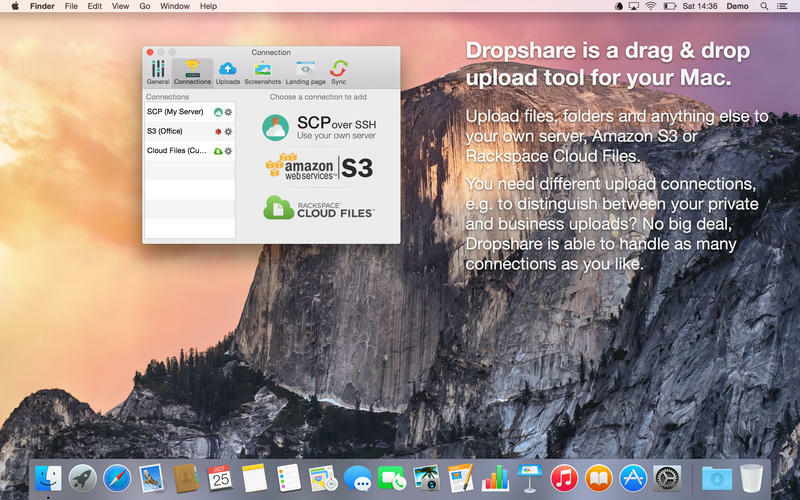 Dropshare is a so-called menulet that enables you to easily drag&drop files, folders and anything else to your own server, Amazon S3, Rackspace Cloud Files or Google Drive. Once uploaded, the app copies the link to the file to your Mac's clipboard and you're ready to share with anyone you like! 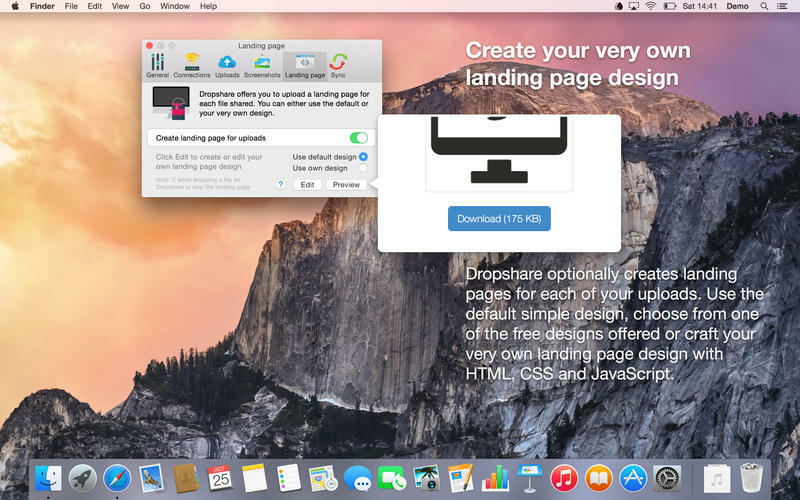 No matter if files, folders, text or screenshots - Dropshare uploads every file and data to your selected destination - also from clipboard or other applications like Safari. Set up your own keyboard shortcuts for fullscreen or selection-based screenshots that'll be uploaded automatically with Dropshare. Take & upload Screen Recordings directly with Dropshare, both fullscreen and selection-based recordings are available. Choose from a number of free designs or craft an individual design on your own using HTML, CSS and jаvascript. A preview can be embedded for several file types, e.g. images, text or video files. 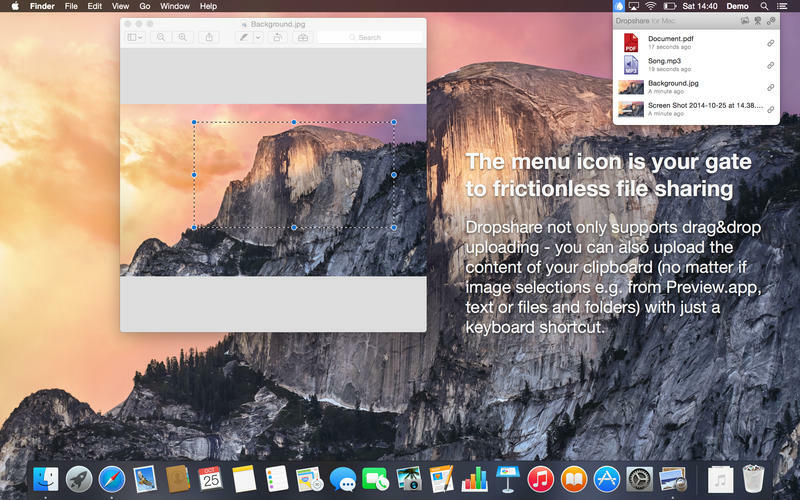 Dropshare introduces itself to the Mac OS X Services Menu. By doing so, you can perfectly use the tools Mac OS X provides to create e.g. keyboard shortcuts for specific actions. Worth to mention, Dropshare works perfectly well in IPv6 environments.